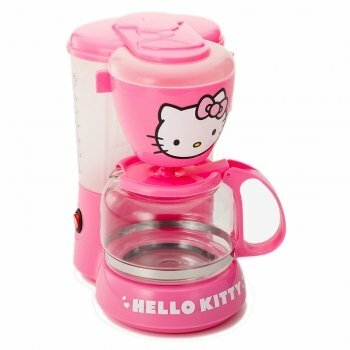 Make the mornings more cheerful with this pretty Hello Kitty themed coffee maker - coffee dripper. Perfect for dorm rooms and first apartments. 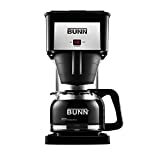 Features: 5-cup water capacity, Swing out basket for easy access to removable and washable filter, anti-drip feature, 50W heating element, Auto off control. I purchased this 2 months ago and at first I admired it, but after several felt uneasy for the money spent. For the price I gave for this I can tell the same quality I can purchase in Walmart. This is nutty. Just not what I expected it would be and very carelessly made compared to resembling products. Not that the quality is so rough, but the product is not worth itsprice.